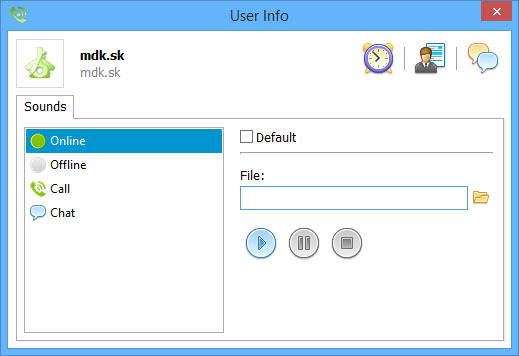 To work with the program Skypeman you need to download and install this package. Run the Skypeman. If Skype will ask to give access - click the button in the popup window "allow access". 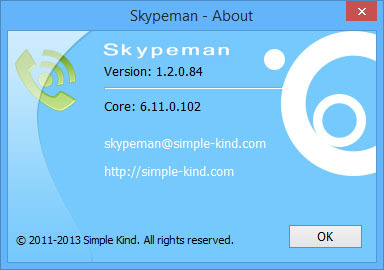 What are the system requirements needed to run Skypeman? How to set a ringtone to a contact? 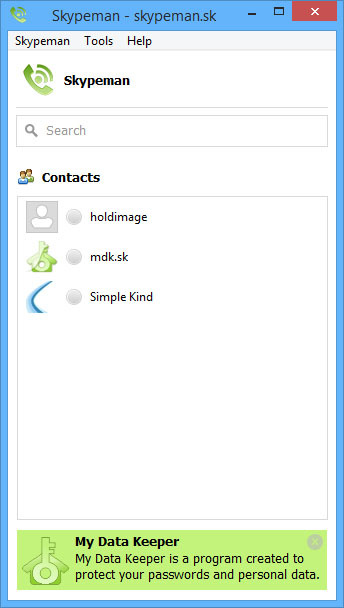 Open Skypeman, select a contact. Open the "contact information" by double-clicking on a contact. Select Online, Offline, Call or Chat. Uncheck the "default". Click on the "select a file". Select the desired file. Here in the window, you can play the selected ringtone. How to change the language in Skypeman? The menu item "Tools" -> "Change Language". How to let us know about an error? The menu item "Help" -> "Bug Report...". How to stop the ringtone? 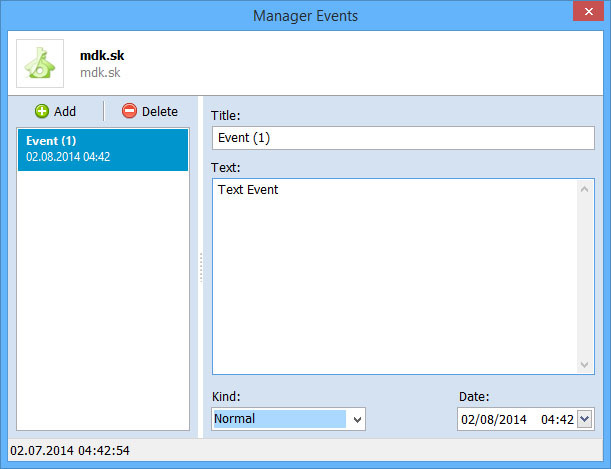 Use the function located in the main menu "Skypeman" -> "Stop sounds". This is a good utility if you wish to assign custom ringtone to your contacts other than the default Skype ringtone, just remember you need to use Skypeman for calling purpose and not Skype.